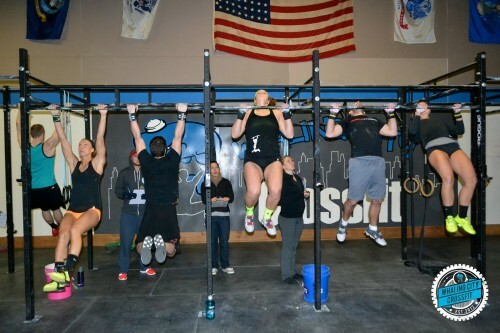 15.2 Going Down Last Friday! Who’s Ready for 15.3?! NEW CLASS: Mobility and Recovery Class – Wednesdays at 6:30pm, Starting in April – Available to all Group Class Members at no additional cost. With the crazy hustle and bustle of our lives and with trying to cram as much fitness as possible into an hour class, our Mobility and Recovery work is often overlooked. This class will be a dedicated time to spend improving our mobility and recovering from the intense workouts of the week. The programming for this class will differ from week to week based on what the week’s WODs have done to your body. In addition, you will have your individual mobility issues identified and assessed and will be taught techniques that can be used before and after WODs and at home to improve range of motion and to help your sore, stiff muscles recover. NEW CLASS: Strength Class – Sundays at 10am, Starting in April – Available to all Group Class Members at no additional cost. Feel like your strength is your biggest weakness? Want a time that is solely focused on getting stronger without lung bursting Metcons? Our new Strength Class is for you! While we do program a fair amount of strength work in our regular WOD classes, sometimes it can be hard to push your strength sets to the next level when you know you have a grueling Metcon happening in 10 minutes. This class will have periodized programming that focuses on getting stronger using a combination of the Power Lifts (squat, deadlift, bench, press) and Accessory Lifts. SPECIALTY SEMINAR: The Gymnastics Kip – Level 1 – RESCHEDULED DATE! March 21st, 10am. Seminar will run about 90 minutes. This will be a the first in a series of seminars for those of you interested in improving your gymnastics skills. The Level 1 Kipping seminar is intended for athletes who do not know how to kip or who are struggling with the kip. The gymnastics kip can be used for pull-ups, toes to bar, knees to elbows, and muscle ups. $15 for Unlimited Members. $25 for all other Members. NEW CLASS: Endurance! Sign-up for this week!